Individually, the team of Connelly Cowan and Taryn Thurman placed 2nd in the Varsity CX Division and the team of Jacob Elliott and Preston Nguyen placed 5th in the Novice CX category. In Congressional Debate, Ryan Sharp placed 5th and Isabella Greco was a finalist out of over 60 competitors. Reid Pinckard placed 5th in Novice LD Debate. In Prose Interpretation, Sharp placed 1st and Jaquacy Minter placed 3rd. 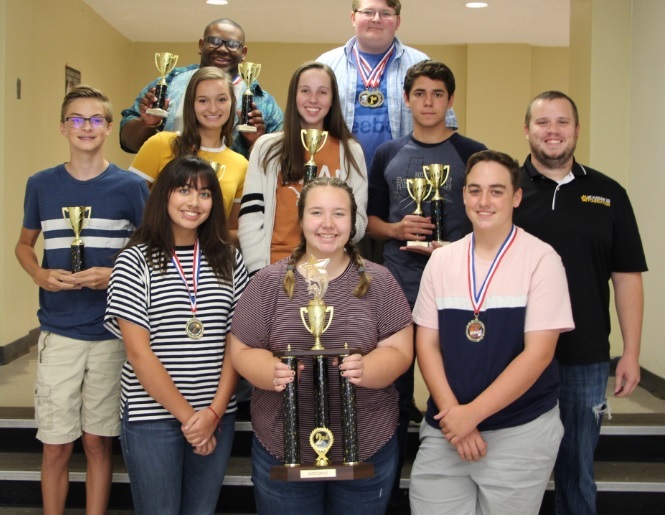 In Program of Oral Interpretation, Minter took 2nd place while Tripp Hinton placed 5th. Minter also placed 1st in Dramatic Interpretation, while Hinton took 4th in Humorous Interpretation and Sharp took 6th place in Extemporaneous Speaking out of over 50 competitors. 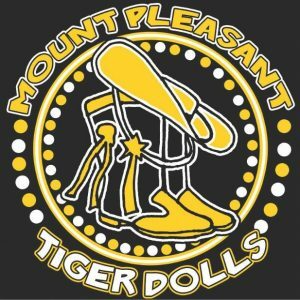 The Mount Pleasant High School Tiger Dolls are currently seeking girls from 1st grade to 8th grade for the ultimate Tiger Doll experience. Participants will attend a one-day dance clinic on Saturday, October 20 where they will learn a routine to be performed with the Tiger Dolls at halftime on Friday, October 26! The cost is $50 per child and includes the clinic, a Dancing with the Dolls t-shirt, a walk with the Tiger Dolls to the field, pregame ceremonies on the field with the Tiger Dolls, sitting with the Tiger Dolls and performing stand routines during the 1st quarter, stretching and circling up with the Tiger Dolls during 2nd quarter, and a performance at HALFTIME of the Tigers vs. Lindale game held on Friday, October 26, 2018. Forms can be picked up and dropped off with any current Tiger Doll or from the MPHS front office. Only 50 performers are being accepted. For more information, contact the Tiger Doll Director Jaton Broach at jbroach@mpisd.net or 903-575-2020. On Friday, the students of Vivian Fowler Elementary School received a very special gift that has been in the making since last school year. 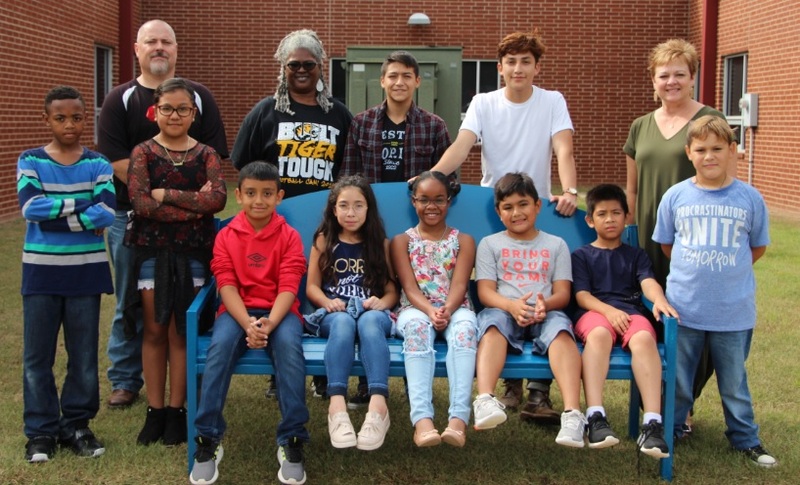 MPHS Ag Mechanics student Uriel Rodriguez, assisted by classmate David Ugalde, built a Buddy Bench to be placed on the Vivian Fowler playground. The bench sits in direct sight of the playground equipment. Students in need of a friend, or “buddy,” can sit on the bench alerting others to come to ask them to play. 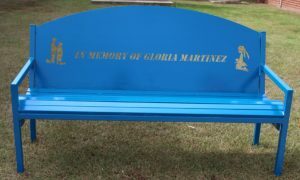 Rodriguez and Ugalde were on hand to deliver the bench with help from Ag teacher, Blake Rice and Career and Technology Education Director, Karl Whitehurst. There to receive their new Buddy Bench were National Elementary Honor Society President Natalie Hines, Vice-President Kenia Rodriguez, Treasurer Alexander Garcia, Parliamentarian Diego Hernandez, Reporter Alexis Sandoval and members Estevan Marroquin and Jayden Finley, along with Williamson and Fowler Principal Cindy Davis.